There is a small lot directly behind the Tavern that is available on a first come first serve basis. There is street parking all around as well. Please take note of all city signage. 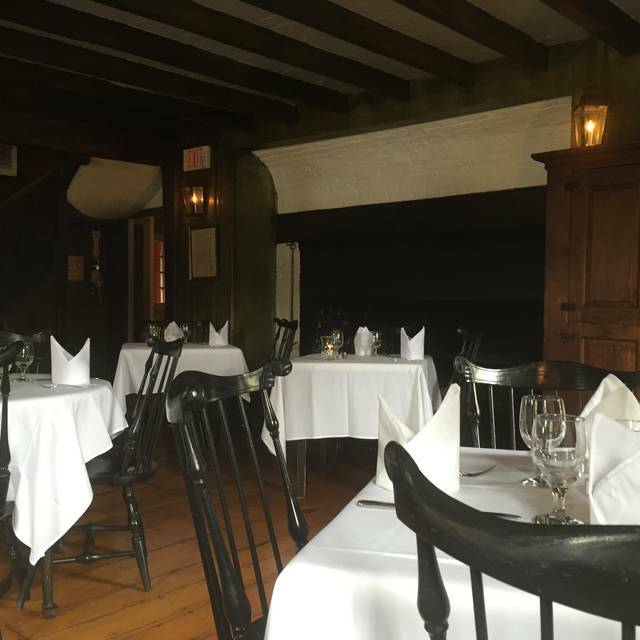 At The White Horse Tavern we strive to create a fresh, contemporary culinary experience in America’s Oldest Restaurant. Like generations before us, we serve the freshest fish, clams and lobsters from Narragansett Bay along with just-picked produce from local RI’s farms. We embrace RI’s vibrant food scene to bring you the very best artisan cheeses, honeys, prime cuts of beef and the highest quality chops and poultry from local farms. We're proud to embrace RI's vibrant food scene, which has made the White Horse Tavern a New England destination. Proper Dinner Dress Required; Business Casual is appropriate. Jackets are not required. Please no athletic wear or sneakers. Please remove hats in our establishment and mobile phones should be turned off. The atmosphere is great it remains true to its original style. Food is always good. Service was great, The place was booked with reservations but they never missed a beat. Very nice experience! Friendly staff and great food. Made Easter brunch memorable. Classy. White Horse is a classy place. Classic cuisine prepared in unique ways with stellar service. Even the chicken and waffles were classy. Service was delightfully slow with time to talk and enjoy. Not for those with a thin wallet, it's a good special occasion place. 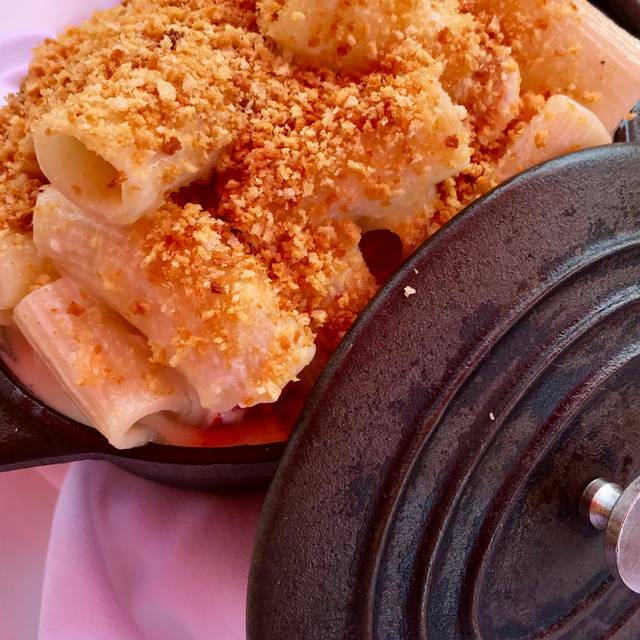 As always, the food was great (lobster bisque, brussel sprouts, lobster mac and cheese, risotto with scallops and butterscotch bread pudding) and service was very good. Beautiful ambiance. Would highly recommend it. Great meal - timing of courses was evenly spaced (no rush). Our server Dom was friendly, but not intrusive. Would definitely return. Head host was extremely rude to us. Don’t bring your kids. This is a very nice, quiet restaurant. I have two boys - eight and three. I was worried that it wouldn’t be appropriate to bring them, so I called in advance. I spoke to a nice woman who said they didn’t have a kids menu, but they are happy for kids to come and had two options for them. I put them in nice shirts and gave them instructions about being quiet. From the minute we walked in, the host was clearly upset we were there. He didn’t greet us, just asked if we made a reservation. He had someone else seat us. And then we watched him greet and bring food to every other table the rest of the night. He literally never stopped by our table. On the way out, my son came around the corner, and he almost ran into us with a plate of food. He said literally nothing to us, just glared. If you aren’t kid-friendly, you should just tell people that — no kids. We can find other restaurants. Rudeness is not ok. We won’t be back. Birthday celebration at our favorite spot. Our server, Tim? was very amiable and pleasant. The bus boy even stopped to answer some of my questions and give us some history regarding the large fireplace in the room. Food was excellent, decor is quaint. Please continue to participate in restaurant week! Thank you. Enjoyable family experience. Waitstaff was very attentive. Very friendly and attentive staff. The kitchen forgot to put the lobster in my omelette; I didn’t say anything as the omelette was tasty as is and planned to let the server know just for the bill. Well, the manager came over and said the kitchen forgot the lobster and she apologized. She brought over a cup of warm buttered lobster and discounted for the mistake. The food was delicious and would highly recommend the Duck Scotch Egg appetizer. All is all excellent meal! We had a wonderful meal here. The waiter and bus boy were full of info about the place and the food. Enjoyable experience! The food was delicious. If you love History this is the place to go. Service was spot on. Highly recommended. amazing food and great atmosphere we will be back! This is an iconic Newport restaurant that serves up some phenomenal food and they have an excellent staff! Beef Wellington and Duck are superb! My date and I both had great food, mixed drinks and wine. My wife ordered the roast Winter vegetables for $22 and it was a piece of acorn squash with carrots and parsnips. All the vegetables were VERY under-cooked with zero seasoning or salt. 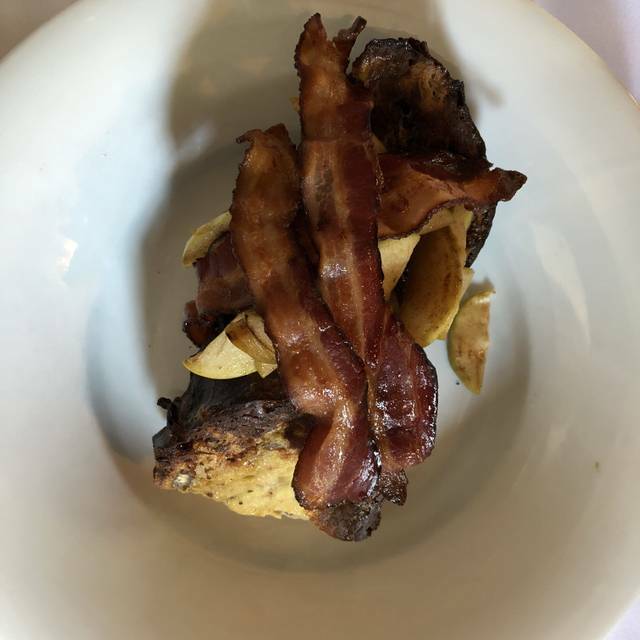 I ordered the cassoulet and it was a piece of fatty duck with dried out duck sausage with what tasted like BBQ sauce on top of the dish which was lukewarm at best. None of the ingredients were cooked together. They we all thrown in a cold paella style pan and then served. Poor quality dishes at any price. Service was OK, but would never recommend based on the food. Too many good choices in Newport to ever go back here. We had a truly lovely dinner at the oldest restaurant in the United States! The services was on point and the food was delicious. Would recommend for lunch but not for dinner. The White Horse was our "go to" restaurant in the mid 1980s and the 1990s. It has slipped since then. Our beef wellington was lacking the former thick layer of pate/mushrooms and there was just a whisper of this ingredient. The pastry was so hard on the bottom it was inedible. The meat itself was tender and the sauce good. One butterscotch bread pudding was good but the chocolate cake was so dry it was hard. Obviously left in the oven too long. Service was good but not as attentive as in the past, probably because the restaurant was understaffed during restaurant week. Ambiance is wonderful, historic and cozy but tables are too close together. Could hardly get into the chairs as there was no room to pull back. The entire experience was absolutely amazing! The food was out of this world. They accommodated my food allergy. The service was top notch. My wife and I could not be more pleased! A great going back in time experience. The food, environment, and experience are truly worth it. We had a memorable evening during Restaurant Week. Great service. Tough to beat the setting. Food was very good and well presented. Only quibble was 3 scallops as an entree was a bit light. Our party of six was seated in a semi-private room that was delightful. Food was delicious and the service was impeccable. We made a reservation at 6:45 and showed up a little early. However, I reserved the wrong date! They were gracious and seated us anyway, shuffling things a bit. 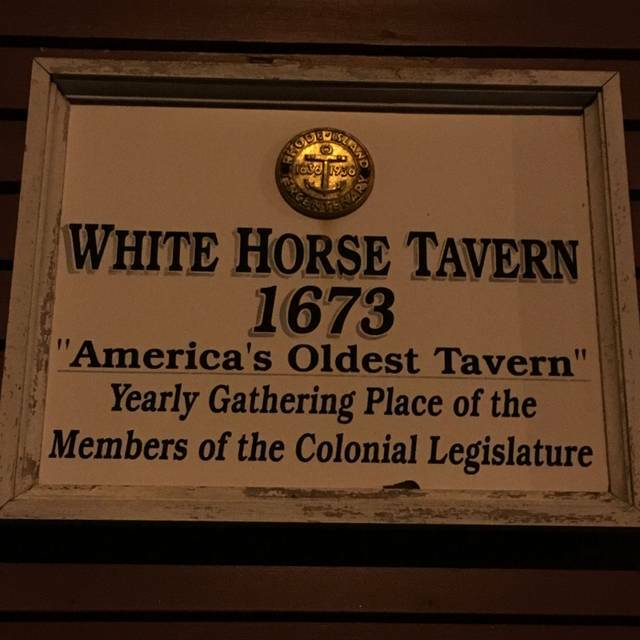 Food was wonderful, service was great and fun to be in the oldest tavern in the US! Est 1673. Great evening, made our "date night" so special! 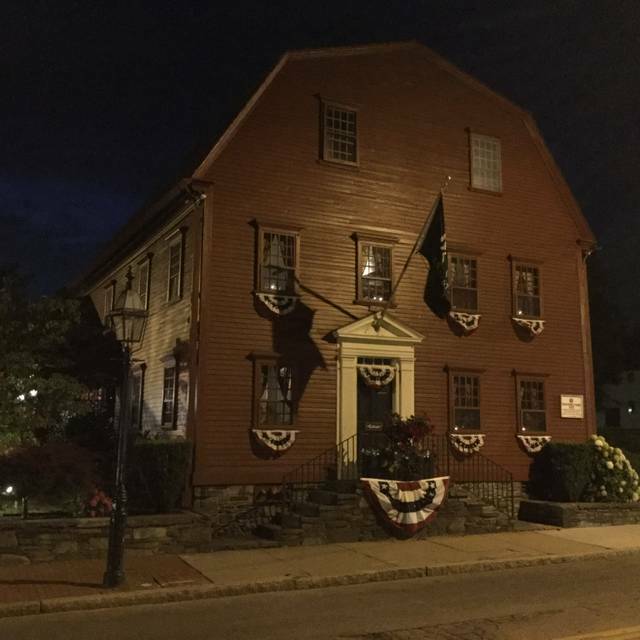 White Horse Tavern is a great restaurant with a lot of historical appeal. The food is excellent with lots of beverages to pair with for your evening. I would recommend reservations and at a minimum a collar and nice pants. This is listed on their website, but you'll be under dressed arriving in beach attire. Get there for restaurant week for some really good deals. Walking in here is like opening a door to the past. The decor really gives you the feeling of what dining in early colonial America must have been like. The food was absolutely delicious. The scallops were the freshest I have ever had and the butterscotch bread pudding was outrageous. Had a wonderful dinner. 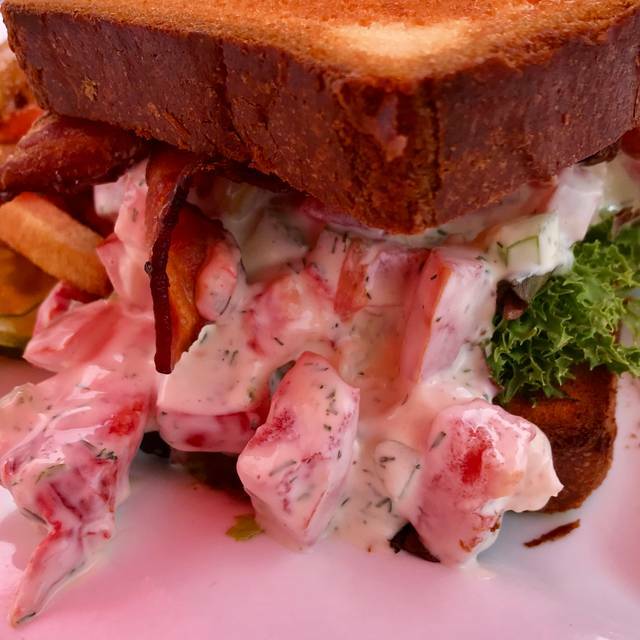 Just loved White Horse Tavern was part of Newport restaurant week. The most amazing service my husband and I have ever had at a Resturant. From the extra services to assist my husband in setting up flowers on the table to celebrate our Anniversary to the staff and food. 5 stars quality at discounted price for a causual and classy experience. We have decide it will be our Anniversary Resturant From now on. Loved the Beef Wellington and the bread pudding was divine!! Service was exceptional. Will go again and again. Our food was absolutely delicious. We thought the flourless chocolate cake was very rich, and we would suggest cutting the portion in half. It was too delicious to leave some on our plate, and so we felt compelled to eat the entire piece. Because of this, we felt it overshadowed both our appetizer and entree. This being said, we feel we were presented with outstanding food. Kudos to the chef! We will definitely be back. Dominic was awesome. He even swapped a table for us due to a cold draft coming from our window seat. He made our anniversary dinner very memorable and enjoyable. Just wow! This historic location has fantastic drinks, service, food and ambiance. 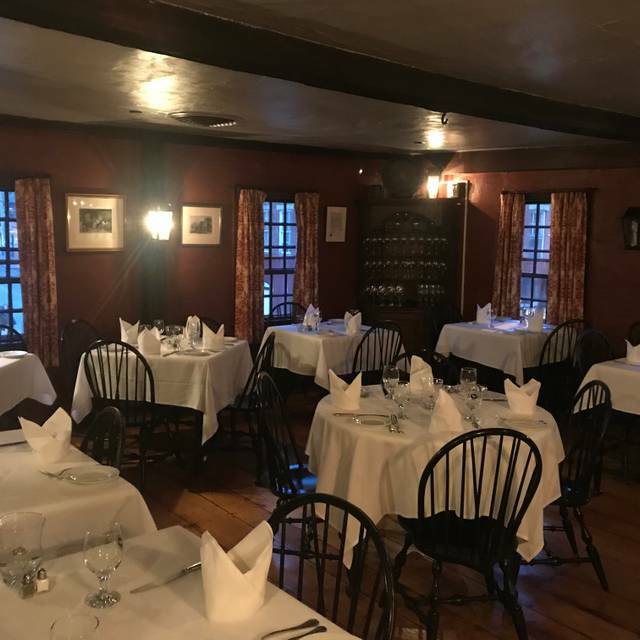 We enjoyed every moment of our appetizer (sautéed calamari) and dinners (duck, roasted squashes with golden lentils) and the staff were the best, very knowledgeable and attentive without being in your face. Food was amazingly delicious, cannot wait to return the next time we are in Newport! It was a beautiful dining experience. Food was delicious. Service very good, server polite. Ambiance good,?but my right side was at entry to another room, and there was a draft from time to time. Food was wonderful. Dominic’s sercive was superb. Drinks at the bar before dinner were delicious. We had a terrific time at White Horse Tavern. Loved the history about the place. The food was very good. 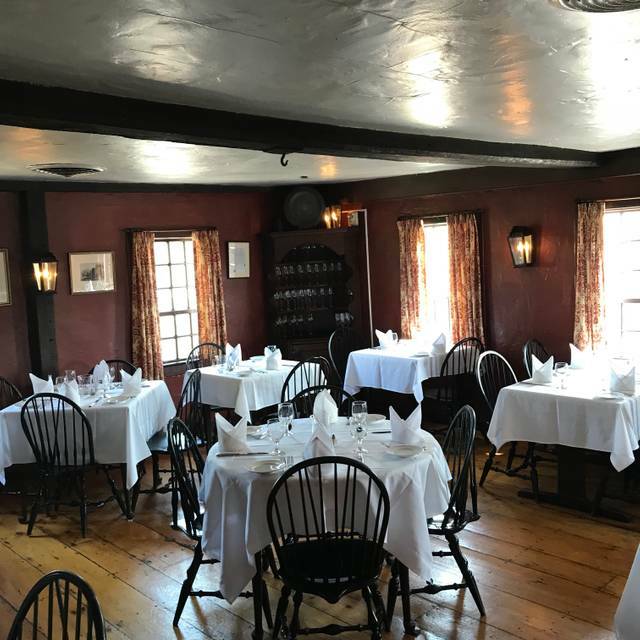 Lunch at the White Horse Tavern is an especially good value in the context of Newport fine dining. The food is excellent and the staff is congenial. The young woman who waited on our table of three rendered impeccable service. All three of us ordered the lunch-sized portion of steak frites au poivre. The quality of this particular menu item is unsurpassed. 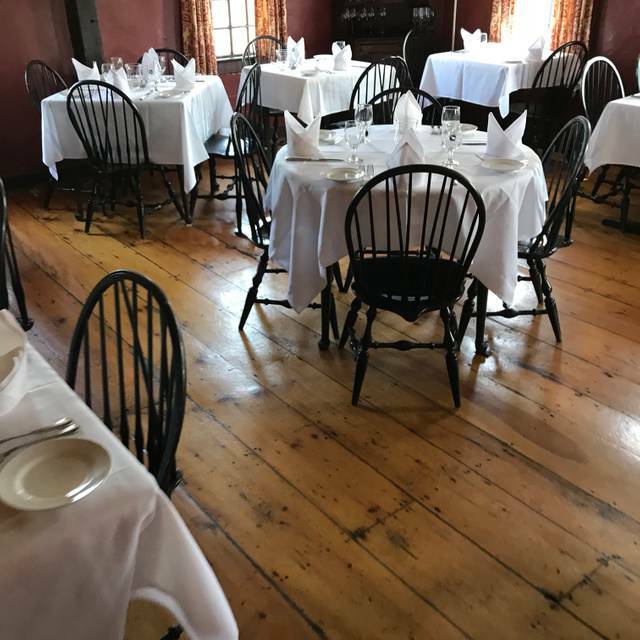 This is an excellent place to go for a business lunch in Newport, especially if your party is interested in local history or history in general. The availability of parking is an added bonus. The lobster bisque was thick and pasty! My husbands dinner the steak frites was excellent!! My fish dish was tasteless and the roasted root vegetables were inedible they were so hard and undercooked! Wait staff were great and ambiance super but for a restaurant of this caliber all the plates should be better than average! A wonderful anniversary dinner. Our favorite “special” place!